The record is made up of 1 file (26 folios). It was created in 8 August 1938-29 Jan 1943. It was written in English. The original is part of the British Library: India Office The department of the British Government to which the Government of India reported between 1858 and 1947. The successor to the Court of Directors. Records and Private Papers. The file contains papers relating to the defence of Qatar. It includes a copy of a letter from the Political Resident A senior ranking political representative (equivalent to a Consul General) from the diplomatic corps of the Government of India or one of its subordinate provincial governments, in charge of a Political Residency. in the Persian Gulf Historically used by the British to refer to the sea area between the Arabian Peninsula and Iran. Often referred to as The Gulf or the Arabian Gulf. to the Air Officer Commanding, British Forces in Iraq, 8 August 1938, concerning the defence of Qatar, including the possibe need to protect an oil field and pipeline against tribal attack and sabotage in the event of Petroleum Development (Qatar) Limited striking oil. It also includes: a copy of a paper entitled ‘Appreciation of the Situation regarding the Defence of the Qatar Peninsula Against Tribal Attack and Sabotage’, by the Major R G Price, GSO2, Air Headquarters, British Forces in Iraq, January 1939 (which includes a blueprint sketch map of Qatar, IOR/L/PS/12/3936, f 13); and copies of letters from the Political Resident A senior ranking political representative (equivalent to a Consul General) from the diplomatic corps of the Government of India or one of its subordinate provincial governments, in charge of a Political Residency. in the Persian Gulf Historically used by the British to refer to the sea area between the Arabian Peninsula and Iran. Often referred to as The Gulf or the Arabian Gulf. 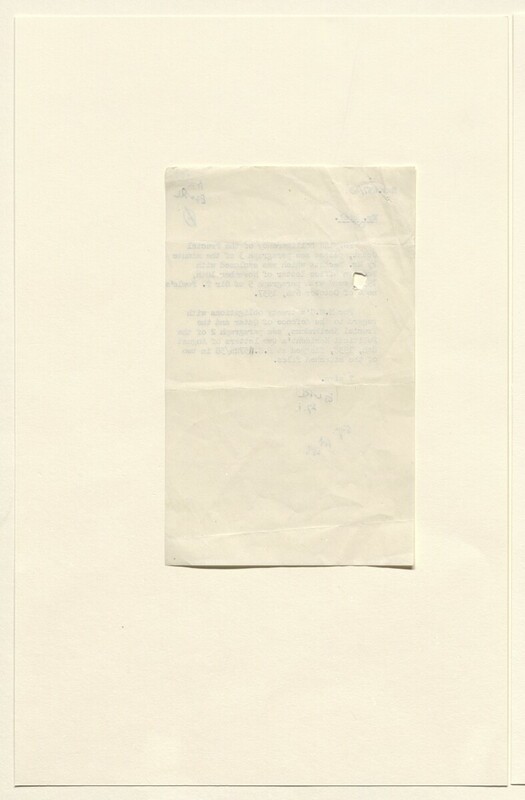 to the Air Officer Commanding, British Forces in Iraq, 2 March 1939, and from the Political Agent A mid-ranking political representative (equivalent to a Consul) from the diplomatic corps of the Government of India or one of its subordinate provincial governments, in charge of a Political Agency. at Bahrain to the Political Resident A senior ranking political representative (equivalent to a Consul General) from the diplomatic corps of the Government of India or one of its subordinate provincial governments, in charge of a Political Residency. in the Persian Gulf Historically used by the British to refer to the sea area between the Arabian Peninsula and Iran. Often referred to as The Gulf or the Arabian Gulf. , 17 February 1939, regarding Price's report. In addition, the file includes correspondence dated January 1943 between the India Office The department of the British Government to which the Government of India reported between 1858 and 1947. The successor to the Court of Directors. , the War Office, and the Commander-in-Chief, Middle East, relating to the proposed gift of guns and ammunition to the Shaikhs of Qatar, Dibai [Dubai, also spelled Debai in the file], and Sharjah. The file includes a divider, which gives a list of correspondence references contained in the file by year. This is placed at the back of the correspondence. The papers are arranged in approximate chronological order from the rear to the front of the file. Foliation: the foliation sequence (used for referencing) commences at the inside front cover with 1, and terminates at the last folio with 27; these numbers are written in pencil, are circled, and are located in the top right corner of the recto The front of a sheet of paper or leaf, often abbreviated to 'r'. side of each folio. A previous foliation sequence, which is also circled, has been superseded and therefore crossed out.